Wire2air offers Text message marketing software for businesses to build customers mobile database and promote products and services using mass text message alerts. We have an expert team of marketer to develop and deal text marketing campaigns via text messages worldwide. Today over 4 billion people use mobile phone and about 90% people read text messages so you can think how it is going popular marketing medium to sale your product and services easily and effectively. Text message marketing campaigns is best for location based marketing strategy. It could be very simple and easy marketing method to reach customers. Today almost all big brands and agencies are using this method to increase instant sales and drive traffic to their stores. Connecting with text message marketing campaigns, you can easily offers product discounts, latest pricing updates, new products and services to customer to increase sales. Drive traffic to your store or website by providing real-time promotions and coupons. Grow customer mobile lists with offers that encourage consumers to opt-in. Develop relationships by delivering new product information and special promotions instantly. Capture customers feedback and gain insights by using interactive text voting and/or text message survey. 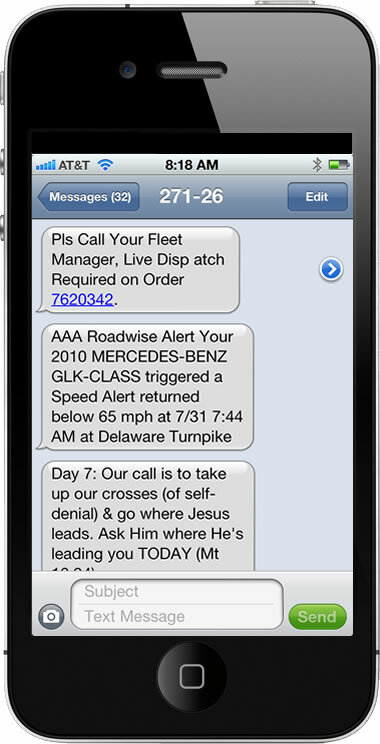 Reduce no-shows and last-minute cancellations by using text message appointment service. Send text alerts to employees, customers, parents, sales staff in field instantly with community alerts, closures, or emergency notifications. Analyze the effectiveness of your sms marketing campaign through the use of rich reporting and analytics. We offers customize text messaging & sms marketing software for all types of business organizations. We are ready to help small as well as big organizations with our interactive and customized text messaging software. Bars & Restaurants: We have developed a interactive, innovative and inexpensive text messaging software and promotions for restaurants, bars and nightclubs. Real Estate: Our text messaging software for real estate is developed to provide information about home pictures, location, prices and facilities. Event marketing: our expert team offers interactive text message marketing and sms marketing platform to promote your events and promotions. Magazines: increase your connectivity with magazines readers by putting you promotional offers on top page with short code number. Radio: Extend your radio listener with our innovative marketing campaigns like voting, polling, text2win etc. Television: offer your audience interactive application with our text messaging software. School, colleges & Universities: you can updates with your student’s classes, exam date, fee date, vacation with our interactive text messaging software. Retail shops: retail shoppers can easily send out their offers of the day to their subscribers. Install software either on web based application or cell phone. Sign up with wire2air text message marketing software today!